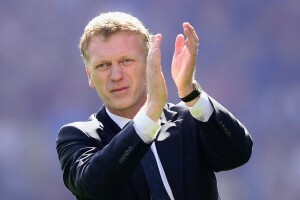 Manchester United have confirmed David Moyes will join the club on a six-year deal from July 1. The Everton manager was recommended by the outgoing Sir Alex Ferguson and his appointment has been unanimously approved by the United board. Moyes met Everton chairman Bill Kenwright on Wednesday to tell him that he wished to leave, and the Toffees confirmed on Thursday that their manager of over 10 years is to go at the end of the season. The Scot now has the huge task of replacing arguably the greatest manager in football’s long history. Ferguson said: “When we discussed the candidates that we felt had the right attributes we unanimously agreed on David Moyes. David is a man of great integrity with a strong work ethic. A six-year contract is a huge show of faith in Moyes and a clear signal that United sought continuity when replacing Ferguson, who will stay on as a member of the board.